John R. Emery is a PhD candidate in the department of Political Science at University of California, Irvine. His area of study centers on the intersection of the ethics of war, international law, terrorism studies, and international relations. Asking if traditional discussions of compliance, effectiveness, and legitimacy in international law or discrimination and proportionality in the just war tradition are eroded by the utilization of advanced computing technology to fight against terrorist organizations, his research explores how the logics and discourses of techno-warfare are viewed as making war an inherently more ethical space. By looking to the natural law and humanist traditions, John Emery strives to illuminate some blind spots created by new technologies of war for law and ethics today. His work on drones, ethics, and counter-terrorism can be read in Ethics & International Affairs and Peace Review, as well as book chapters in Georgetown University Press and New York University Press. 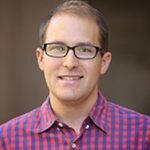 As a Technology, Law & Society Graduate fellow, my research seeks to gain insight by looking to the natural law tradition, humanism, and contemporary practices of U.S.-led technological warfare, we can begin ask the right questions about how international law and ethics must evolve with technological innovation. From collateral damage estimation software as the exercise of ethical due care in war, to advanced algorithms determining which patterns of life constitute a “legitimate target” in drone strikes, how has technology come to replace difficult ethical decision-making in warfare? What answers might early international law thinkers and their humanist critics have to offer the complex legal and ethical dilemmas of contemporary techno-warfare? These guiding questions that build on my previous work, explore the underpinnings of international law to see how an increasingly computerized warfare is challenging some of these foundational assumptions, upon which we built our laws and ethics of war.